Looking for a in-depth perspective on our products? 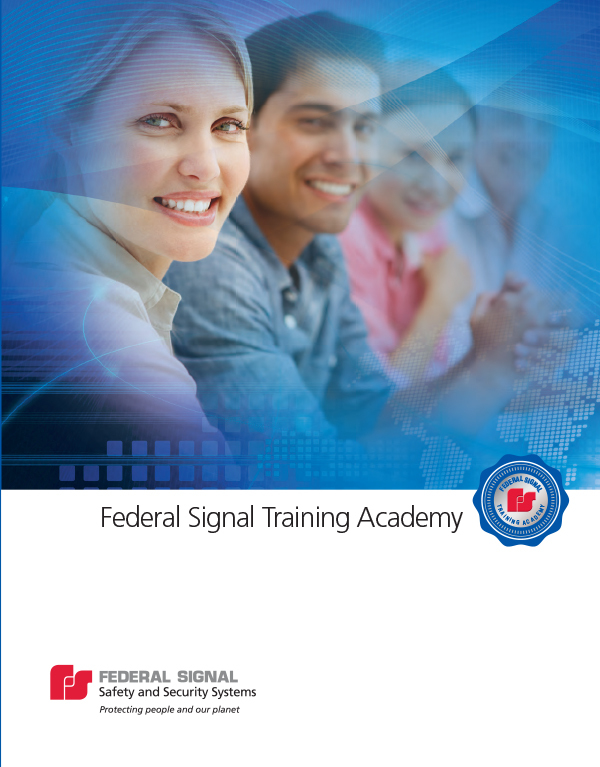 This course is a basic overview of Federal Signal's alerting and notification products. Attendees will gain a basic understanding of system communications and optimization. A hands-on training lab is included. Ability to install software, add and remove programs, etc. Who should attend? End users with administrative responsibilities for warning systems or manufacturer representatives/installers new to Federal Signal’s Alerting and Notification Product Line. This course covers advanced troubleshooting and maintenance for siren systems, along with advanced understanding of system design within special applications. This course is predominantly lab/hands-on-training to ensure a full understanding of Federal Signal equipment functionality. *FSQI requires hands-on field training and on-site supervision from Federal Signal's Systems Integration group. Federal Signal can offer custom training to meet a customer's specific needs and/or system requirements. The course will offer a tailored in-depth perspective on the complete system designed to meet their needs and can be held at our University Park, Illinois location or customer site. Ability to install software, and remove programs, etc. Attending a session? Click here for travel accommodation information.